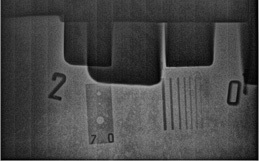 Inspecting dense and heavy materials calls for the power of VJ Technologies high energy Digital Radiography (DR) and Computed Tomography (CT) solutions. We have worked to provide the industry’s best images in this arena for over a decade. Our high energy systems for end users and inspection services let you see what others simply can’t. And unlike other X-ray providers, VJT maintains multiple dedicated high energy facilities that operate around the clock to meet the needs of our customers. 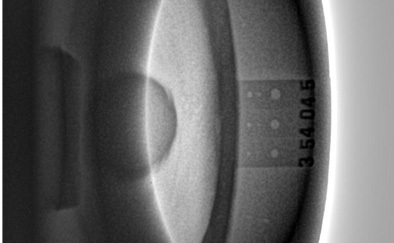 Available in energies up to 15 MeV, our high-energy X-ray solutions simplify the inspection of heavy and dense materials. Integrated with our Vi3 software and ADE (Advanced Defect Enhancement) filter, our units produce the industry’s most superior image quality. 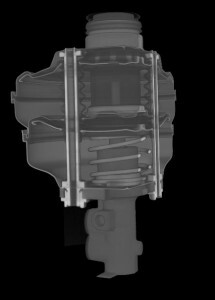 Our high-energy X-ray solution comply with all relevant global industry standards. Whether in-house or in the field, only VJT can deliver the best solution that meets the specific needs of your program. Our global presence and international focus gives us a deeper understanding of cultural nuances, while our world-wide experts assure you of optimal support no matter where your location. VJT provides custom solutions for each unique customer application. No two customers are alike. Every application has unique requirements. Combining rigorous testing in our labs with decades of experience in every field of engineering and design, VJT creates the ideal solution to perfectly meet the project requirements. We look at our wide range of tools, services and leverage our expertise and relationships to pick the correct combination of sources and detectors to perfectly meet project requirements. As part of our thought leadership, Siemens Energy and VJ Technologies co-authored a whitepaper for an industry conference that detailed premature and often catastrophic failures in gas powered turbines used for energy generation. 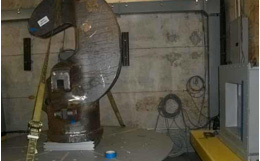 After removal from service and return for refurbishment, it was determined by VJT that turbine vanes were at the root of the failures. Read the entire white paper here. When one of the nation’s leading energy providers looked to reduce the cost of their ongoing program that images splice joints in the field, they turned to VJ Technologies. 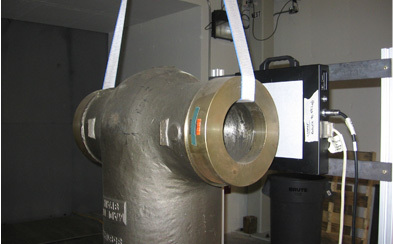 Historically if they needed to see inside the pipe for evaluation, they used an X-Ray film along with radioisotope. VJT was able to provide a high energy X-ray imaging solution that produced four times the number of images in the same time frame, along with higher quality, at a substantially lower cost. Read the entire case study here.